Almost everyone will experience anxiety at one point or another in their lifetime. Some might feel anxious before taking a test in school or performing on stage. Others may begin to worry over a major life event like a graduation or choosing a new job. For many, this feeling tends to subside and pass after a short period of time or when the event is over. However, for those suffering from an anxiety disorder, these feelings of anxiousness, fear, and worry never subside. These emotions are made worse when the individual also struggles with addiction. When co-occurring disorders occur, an anxiety treatment program in CA is the answer. Panic Disorder – People suffering from this condition experience extreme feelings of fear and terror that reoccur suddenly without warning. These episodes can be debilitating and in many cases are so severe that patients must be rushed to the hospital to receive medical attention. Some symptoms of panic attacks can include chest pain, trouble breathing, unusually high heart rate, extreme jitteriness and even feelings of choking. Social Anxiety Disorder – This involves the overwhelming fear and self-consciousness associated with everyday social situations. Patients struggling with this condition tend to isolate and become reclusive. Phobias – These are intense and irrational fears associated with specific situations or objects. These fears are often very excessive and pertain to low-risk everyday situations. It’s vital that when looking for an anxiety treatment program, that you look for one that also offers dual diagnosis treatment. This type of treatment means that treatment will focus on both your disorder and your addiction. Treating one and not the other will only result in ineffective treatment and a high risk for relapse. But why would anxiety and addiction occur together? For some clients, addiction is a result of trying to treat their disorder on their own. They self-medicate with illicit prescription drugs or use alcohol or other substances to manage and alleviate their symptoms. As they try to mask these emotions, their bodies become dependant on the substances in order to function every day. For others, their anxiety could be brought on by their drug or alcohol use. Withdrawal symptoms can make anxiety worse, making it feel impossible to function. Without an efficient anxiety treatment program in CA, individuals suffering from these co-occurring disorders will find it hard to achieve lasting recovery. While focusing on one of these disorders is necessary, ignoring the other can be detrimental to treatment. Finding a program that tackles both issues as their own entities at the same time will give you the best chance at achieving the lasting recovery you deserve. A mental health treatment center in California is your first step to finding a better life. Programs and services at these centers can give you the tools and skills necessary to manage your mental health properly without addiction. Your best option for a compassionate, welcoming, and effective treatment center is Morningside Recovery. Morningside Recovery’s clinical team customizes each client’s treatment program to meet their individual needs. We offer psychiatric and counseling services to each client, which helps to treat their condition from every angle. We not only treat addiction but the underlying causes of it as well and help to ensure that any co-occurring anxiety disorders receive adequate treatment. Our anxiety treatment programs help clients to examine their own thinking and how their personal beliefs affect their behavior. This psychiatric, therapeutic and counseling services where patients will receive the individual attention they need to address the underlying causes of their anxiety and find effective methods for coping with them. Our program includes a daily routine where clients will participate in various forms of therapy and learn valuable relaxation techniques such as mindful meditation, controlled breathing, progressive muscle relaxation, visualization exercises and controlled breathing. 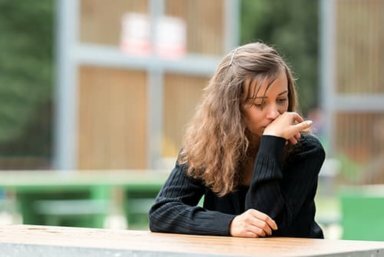 When it comes to searching for the right anxiety treatment program in CA, look no further than Morningside Recovery. Let the professionals at Morningside Recovery help you overcome your mental health and addiction problems today. Give us a call at 855-416-8202 today to begin your recovery journey.